Atlantic Financial-US has strategically partnered with Atlantic Financial Asia Ltd to offer alternative investments to investors in Asia with services of life settlement portfolios and financial assets such as financial derivatives, private equity, and hedge funds. These instruments allow our investors to create and customize longevity products with low risk. Atlantic Financial (ASIA) was formed to take advantage of the investment opportunities that exist today as a result of the global financial crisis. Through our partner, Atlantic Financial in the United States we have access to Senior Life Settlements (SLS) and other alternative investments. Atlantic Financial (ASIA) provides independent advice to investors and fund managers in Asia on alternative asset class and distressed assets in the USA. Our clients are pension funds, trust funds, hedge funds, large company and high net worth individuals. We currently specialize in US originated Senior Life Settlements and US based distressed commercial real estate notes. 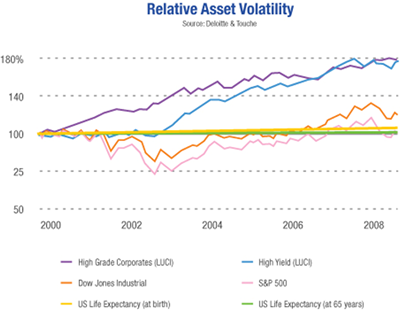 Longevity assets have seen tremendous attention from the capital markets in recent years because such assets offer above-average returns that are not correlated with traditional financial markets. Structured insurance-linked longevity assets have no correlation to the equity markets, are immune from real estate value changes, are unassociated with sub-prime mortgage exposure, are not tied to interest rate fluctuation and are separate from commodities volatility. In fact, historical data supports the actuarial assumption that there is zero correlation between mortality rates and the capital markets. The recent deterioration of the credit markets and an increased recognition of the correlation among most asset classes has spurred interest in alternative investment ideas. Longevity is a new and emerging asset class with participation from mainstream institutional investors – public and private pensions, top-tier investment banks, asset managers, insurance companies, and hedge funds. *Report for the Association of British Insurers on Key Correlation Assumptions in ICA for Life Office, Deloitte and Touche LLP, May 2005.